In early August 1996, John and Jody and son John joined Bob and Dian Griffin and son Rob for a float trip down the Talachulitna River, about 70 miles northwest of Anchorage. Scanned analog photos. 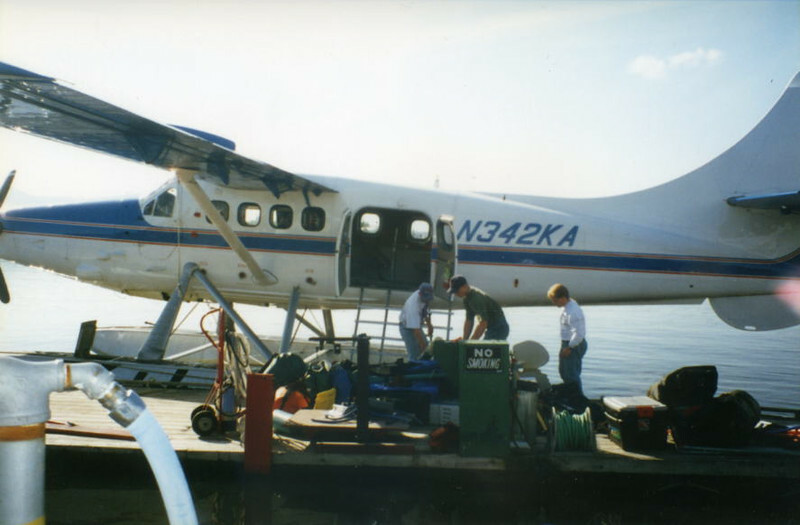 A de Havilland Otter was big enough to carry all six of us, our gear, and the three Ketchum rafts that we rented.